"The Weeklings are America's most unique tribute to the music and muse of THE BEATLES, performing explosive renditions of Beatles classics, uniquely arranged Beatles nuggets such as "Paperback Writer", "Baby You're a Rich Man" and "I Am the Walrus", brilliant Beatles-inspired power-pop originals, like one of their newest, "In The Moment", a Top Ten most popular song of 2018 on Sirius/XM radio's Little Steven's Underground Garage, and great remakes like the classic 60's garage tune by The Easybeats, "Friday On My Mind" featuring Peter Noone of Herman's Hermits fame on lead vocals! 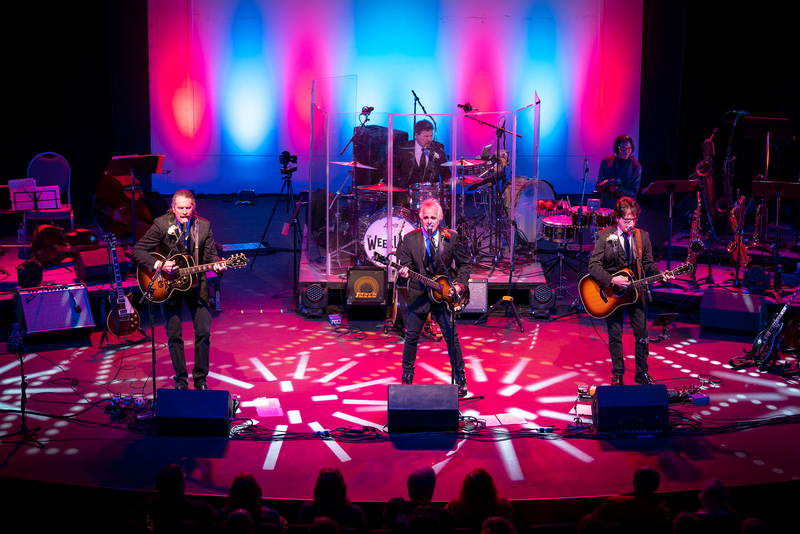 The Weeklings embody the aura and bold creativity of the 1960s, bringing The Beatles to life, not through costumes and gimmicks, but through their extraordinary musicianship, exceptional vocals and charming stage presence. "They show their audiences both what The Beatles were, and what they might have been if they were performing today." The Weeklings are annually featured at premier Beatles festival events like Abbey Road on The River and BeatleFest. Three members of The Weeklings, Glen, John and Bob, tour as the backup band for Springsteen drummer "Max Weinberg's Jukebox" project. You can hear The Weeklings on Sirius XM's The Beatles Channel, Little Steven's Underground Garage, where they have scored a number of "Coolest Song" designations, 90.5 The Night, WBJB-FM, 105.7 The Hawk as well as on terrestrial radio stations such as the nationally syndicated Joe Johnson's Beatles Brunch Club plus WMGK's Andre Garner (Philadelphia) and WXPN's Helen Leicht (Philadelphia) Breakfast with The Beatles shows and many other internet and terrestrial stations around the world.